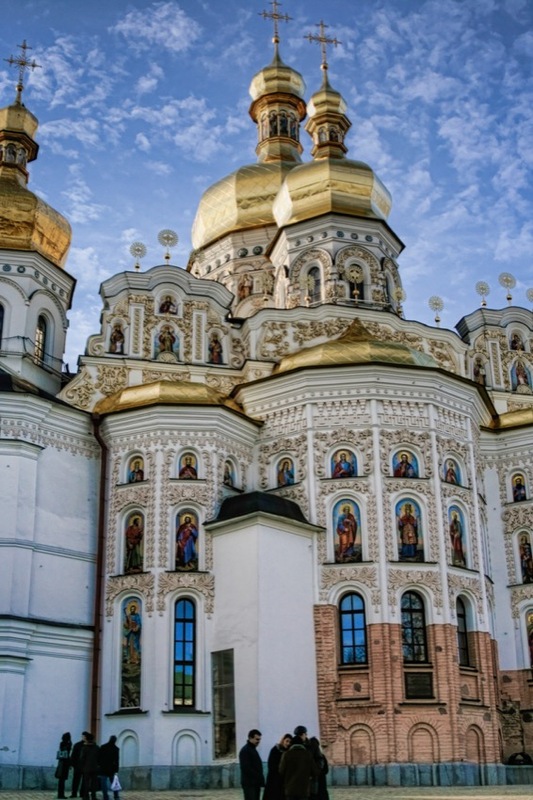 A rear view of the Dormition Cathedral at the Kiev Pechersk Lavra. First established in the year 1051. This site is a UNESCO World Heritage Site.